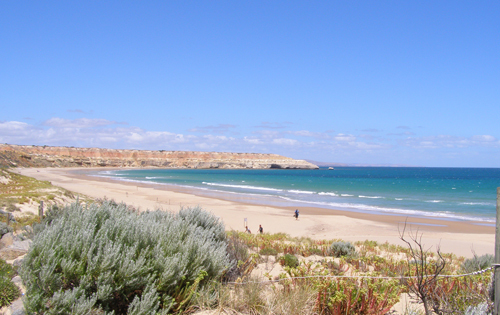 It was my final day in South Australia. After three weeks, I had thought I had seen every just about everything this area had to offer, but I was in for yet more (pleasant) surprises when Greg Linton of Wine Diva Tours picked me up. 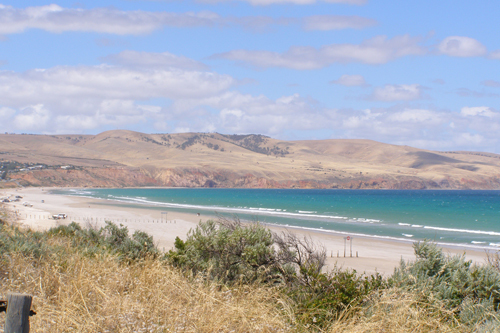 Greg was taking me off to the Fleurieu Peninsula, specifically in and around McLaren Vale. This area is only an hour from downtown Adelaide (45 minutes from the airport) and I was told it was another region filled with wineries and beautiful beaches. I listened to him talk about his hometown of McLaren Vale with great pride and was anxious to see it. We only had the day, so we just touched the surface of this region, where you can find waterfalls, hiking, golf courses, whale watching, seals, penguins and even black dolphins. We made a quick stop at the Lintons home-base, where they not only run the Wine Divas Tours, but also rent out some adorable cottages (and reasonably priced) under the 3 Divas name. 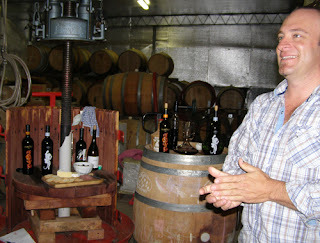 We were then off to meet Paul Petagna of Petagna Wines, who set up a very casual bottle and barrel tasting for me. Petagna does it all in this family-run winery and he does it well. The vineyards are only about two and a half miles from the water, the sea breeze brings out some slightly different flavors in the grapes. I could taste this straight from the barrels of a newly oaked Grenache that was already peppery and full of dark fruit, and Shiraz that had the classic cherry taste mixed with tobacco and spice. The bottled Dio and Diablo Shiraz Blends were great, but the treat was something I hadn’t seen before – a Late Harvest Shiraz. It is about to be released and I may have to go back to South Australia to get a bottle to saver on the beach with some cheese (and friends, of course). It was the beach that we headed to next. As Greg watched my eyes light up at the beauty of Sellicks, he told me there was more to come and then delivered with Muslin Beach. The water, rock formations and sand at the Fleurieu Peninsula beaches were ideal, and it is not difficult to find places to stay and eat along the road, though the area is strict with zoning so it never looks overpopulated. We had lunch at Vasarelli in downtown McLaren Vale, a town small town about to get its own “piazza.” We ate family style so I could try a few different things, and thoroughly enjoyed small portions of the Arancini Allo Zaffarano (rice balls with mozzarella and sautéed vegetables), Schiaffetoni Al Doppio Ragu (pasta slow cooked with pork, veal and beef), Penne Alla Norcina (pasta with Italian sausage, mushrooms and a parmesan cream sauce with nutmeg) and Risotto Primavera (rice sautéed with mushrooms, spinach, broccoli, pumpkin, pine nuts and covered in shaved parmesan). Before we left Vassarelli, I had for the first time an Italian coffee drink that I had ironically discovered in Australia, not Italy. 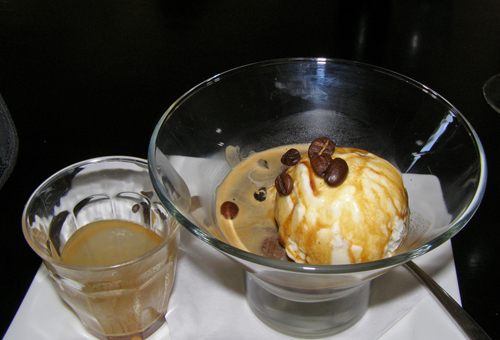 It’s called Africado and it is espresso poured over vanilla ice cream. They then sprinkle some coffee beans on top and you have your iced coffee with a spoon! It was dessert as far as I was concerned and the only one I had room for before we headed to Redheads Studio. This unusual “cellar door” -- another term that I kept hearing in this area -- is run by five winemakers, who take turns working here. 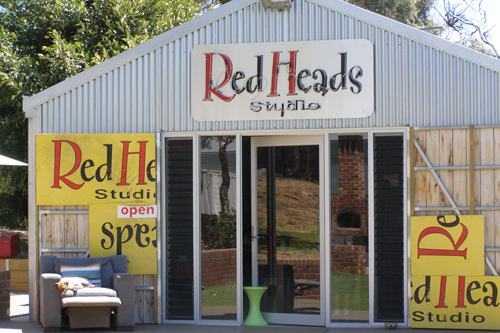 We met with Steve Grimley of Loom Wine, who told us how wine businessman Tony Laithwaite started Redheads in 2002 and it has become a showcase of the area’s lesser known wineries. All of the vineyard owners also have day jobs, but this is their labor of love. I couldn’t possibly taste everything, but asked for the unusual for this area and Steve brought out: NV Ranger & Apprentice Blanc de Blanc, light and refreshing; Rogers & Apprentice Rose, made 100% from Sangiovese and full of strawberry, but far from sweet; and a Suckling Single Vineyard McLaren Vale Shiraz, made with hand selected fruit during a hot 2009. It was fermented in stainless and then an old oak barrel, so it’s almost cherry juice, but certainly not as sweet. I then got to taste a totally different Shiraz, Longwood by Phil Christian, made in small batches and in the more familiar Australian style. Our next stop was a place that makes many different things. Lloyd Brothers grows everything from grapes, olives and almonds. They also produce clothing and bedding items from alpacas, an Australian animal that looks a bit like a Llama, but is actually part of the camel family. The wine (and the olives) is all hand-picked here. 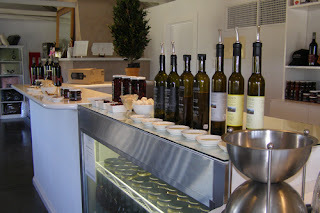 Olives are used to make some very smooth oils, sauces and relishes. Among the oils the Late Picked Extra Virgin was my favorite, on a piece of fresh bread with a glass of their Sparkling Shiraz. 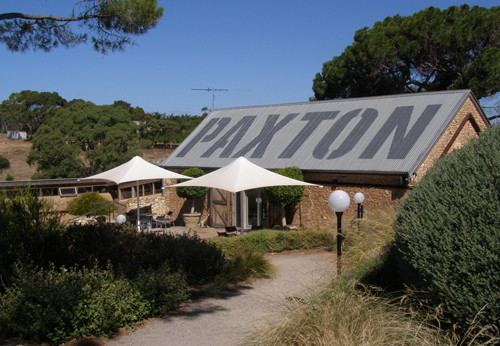 The final winery for the day was Paxton, a place that likes to experiment and bring in some grapes you don’t see often here. The Pinot Gris was just as it should be, full of mineral and citrus, not too sweet and not too dry. Tempranillo, a Spanish variety that is grown in Rioja, was a bit like Cabernet, a blend of cherry and earth. They also make the truly classic and most popular 2007 EJ Shiraz, 100% French Oaked and very dry, yet it retains a creamy mouth silky cinnamon. It would lead me perfectly to the total opposite, a Late Harvest Sauvignon Blanc made in Moscato style, but not quite as heavy. After a stop for coffee at Blessed Cheese Cafe, Greg drove me back to Crowne Plaza Hotel for my final 18 hours in Adelaide, which would include my delectable stop at Cocolat.